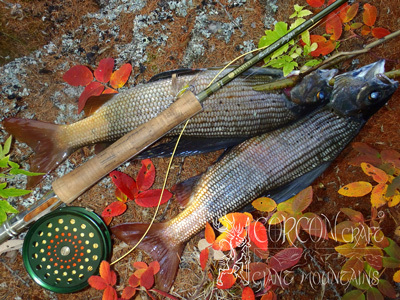 "Last-Minute" Offer : 4 rods in September - Opening day of the fall fishing season ! 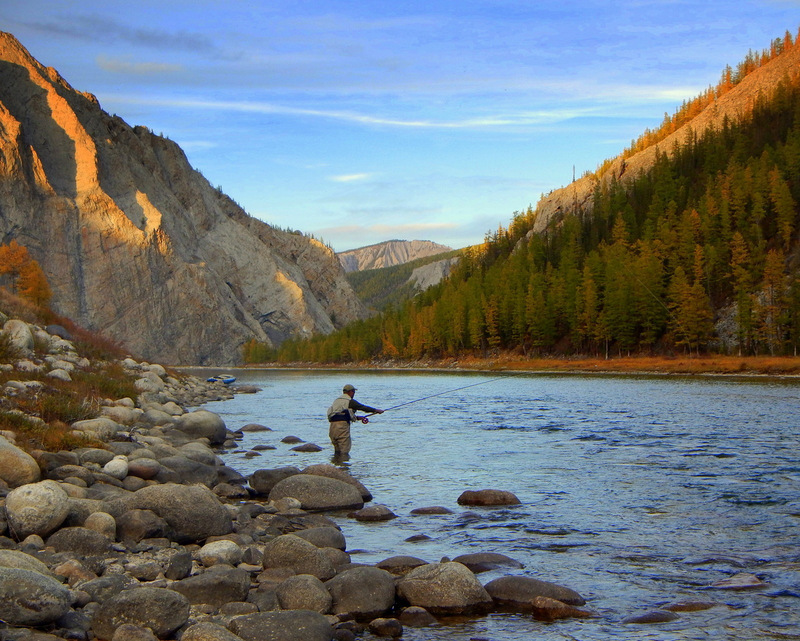 - Taimen River Expedition "Call of the Wild"
Be the first to cast for Giant Taimen in the productive autumn fishing season in northern Mongolia ! - Taimen season opening again on September 1st, 2018. 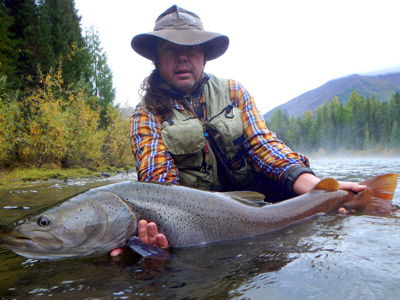 "Last-Minute" Offer : 6 rods in October - Best tour date for Giant Taimen in the late fall season ! 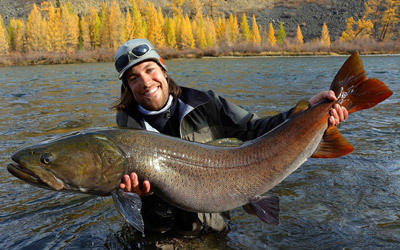 - Taimen Tour "The River Wolf"
Record-class Taimen around 5 feet are landed & released each year in October just before the first snow, when mature Taimen are gathering in the waters around our main fishing lodge. 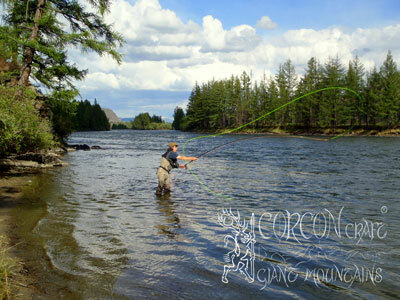 "Last-Minute" Offer : 3 rods in June - Opening day of Taimen Season ! 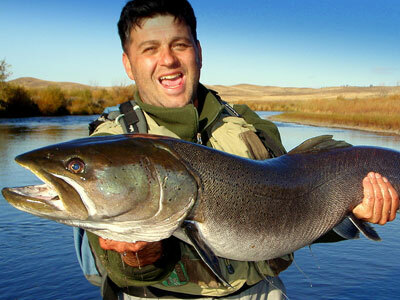 Be the first to cast for Giant Taimen on opening day of fishing season in northern Mongolia ! 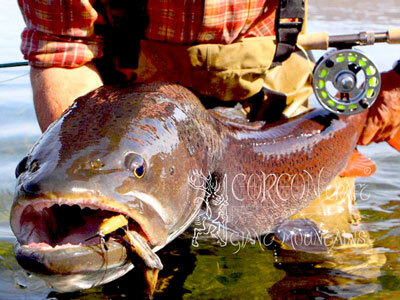 Taimen season opening again on June 15th, 2018. 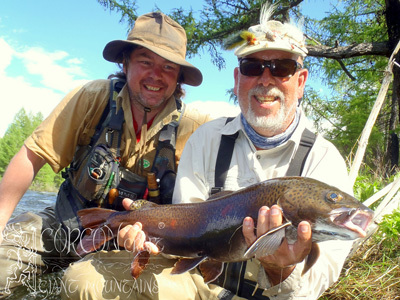 One of our most productive Taimen Head Camps in the 2016 and 2017 fishing season. 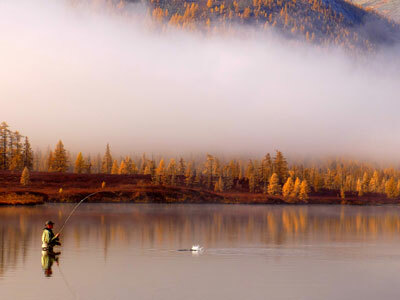 As every year, the opening of fishing season for Taimen took place at our camps upon the legendary rivers Shishkid, Tengis, Delger, and Ur, - most productive in the “Torrents of Spring”, and for the keen fly-fishing sportsman in particular. 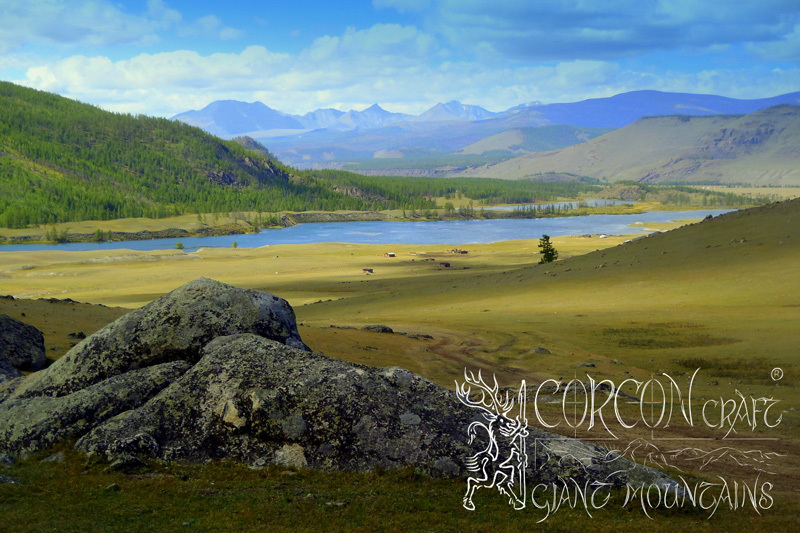 Be the first to cast for Mongolian Taimen at the opening day of fishing season in northern Mongolia ! 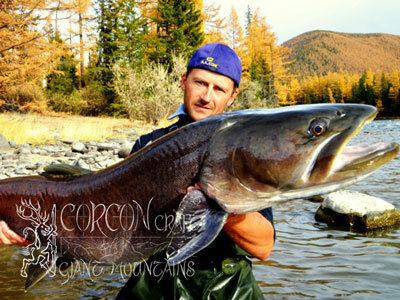 Our “Camp Tengis” at the confluence of legendary Taimen rivers Tengis and Shishkid (headwaters of the mighty Siberian Yenisey) produces the largest Taimen specimen since 25 years of responsible sport fishing and strict catch & release policy. 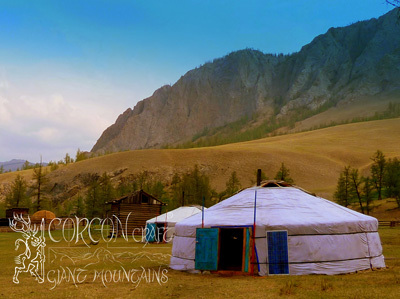 We at CORCON CRAFT are wishing a merry Christmas and a happy, prosperous New Year 2017 ! 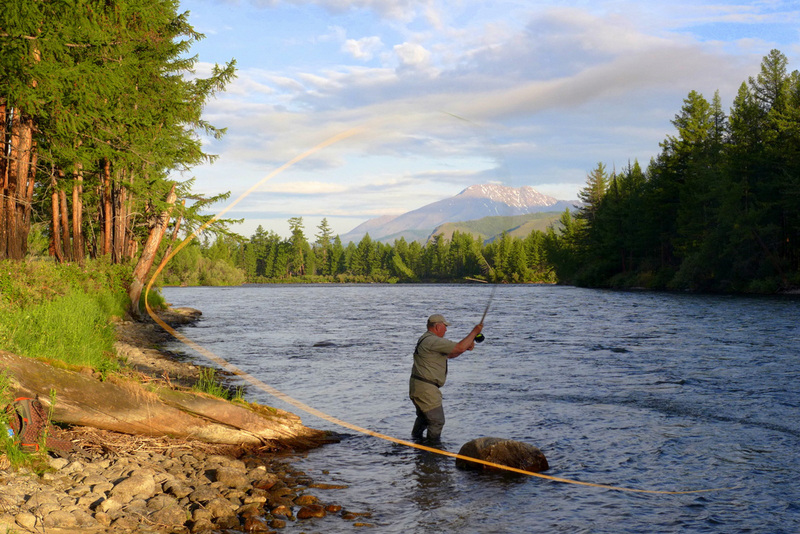 Our new cottage camps at the hidden Strelna and Chavanga rivers, flowing into the White Sea, offer productive fishing for plentiful Atlantic Salmon, Sea Trout, Arctic Grayling, and Brown Trout. 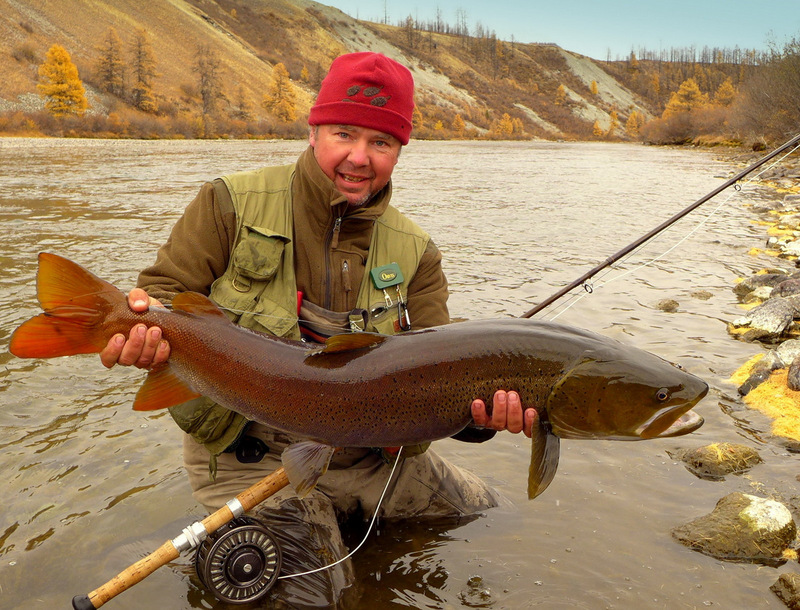 Be the first to cast for Giant Taimen on opening day of fishing season in Mongolia ! 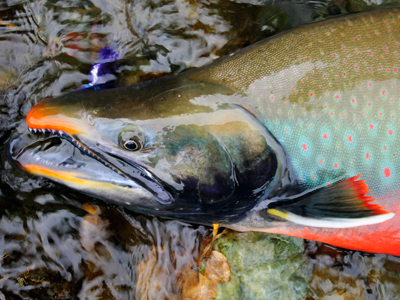 The mighty Namsen River and tributary are legendary for giant "Store Laks" since generations of traditional sportsmen fishing in the early spring season. 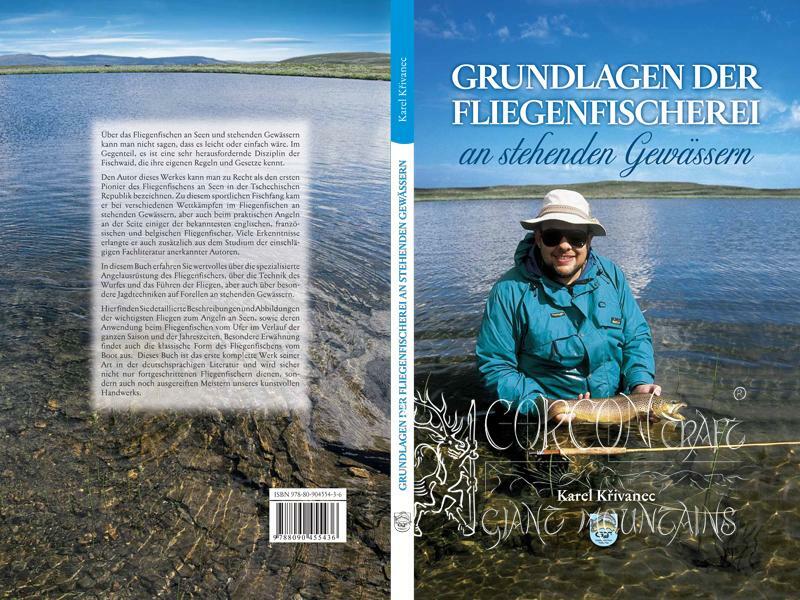 A few rods still open at our 10 days Salmon and Sea Trout tour (8 days fishing) in Middle Norway, commencing on the 15th of May, 2015 ..
New Season 2014 "MONGOLIAN SPRING"
The opening of the fishing season in Mongolia was unpredictable this spring. Due to the very long winter and melting of snow in the finally arriving sunny springtime, the rivers were swollen and flooded the banks. 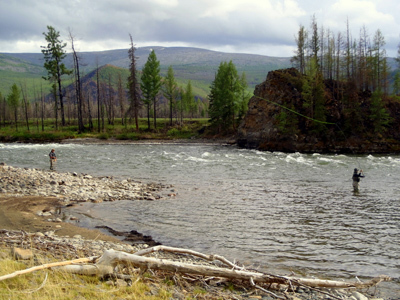 By mid June we still had rising water at our rivers, which we fish regularly in northern Mongolia. 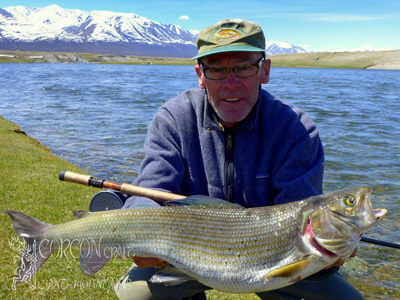 In order to complete and round-up groups of fishermen for our Taimen Tours at the opening of spring season, we can now offer an extremely favorable discount of - 16 to 26 % for those dedicated and progressive fly-fisher and sportsmen, who don't want to stay behind.A limited offer for a short period of time, for all those anglers, who are not afraid to take their fish of a lifetime. 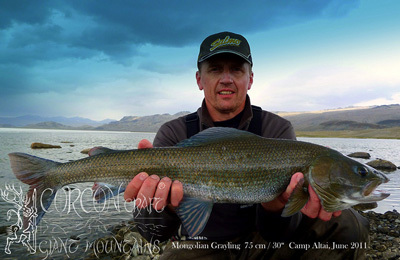 Fly-Fishing for the largest Taimen and Trout and Grayling on this planet ! World Records. 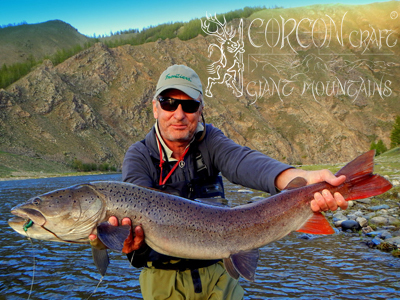 - Every season brings new record-class fish for our clients and guests. 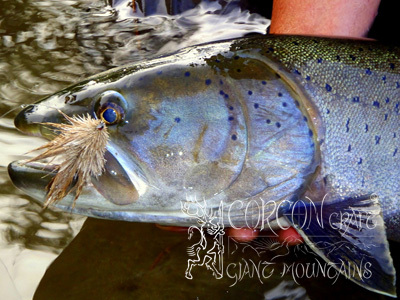 The very best conditions for fly-fishing at our waters are found with the opening season and fantastic hatches of insects in spring time. Plentiful catch of prime Lenok and good Taimen every single day. 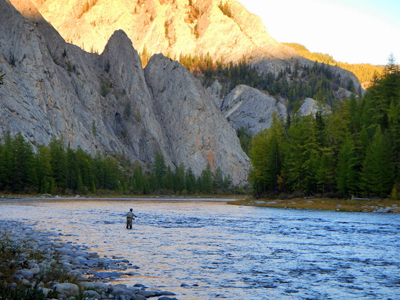 Fly-Fishing for the largest Taimen and Trout and Grayling on this planet ! World Records. 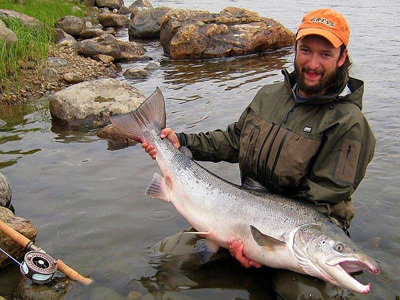 - Every season brings new record-class fish for our clients and fishing guests. Plentiful catch of prime Lenok and good Taimen every single day. 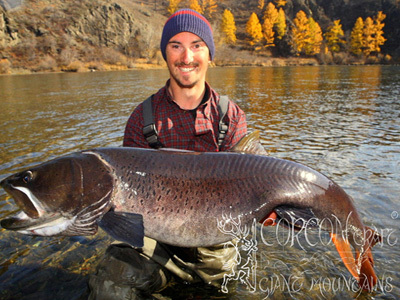 Largest specimen and trophy-class fish are landed typically during the autumn season of Indian Summer in Mongolia. 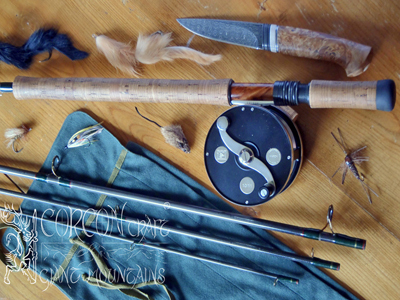 CORCON Craft at the EWF Fly Fishing Fair 2012 in Fuerstenfeld, Bavaria ! 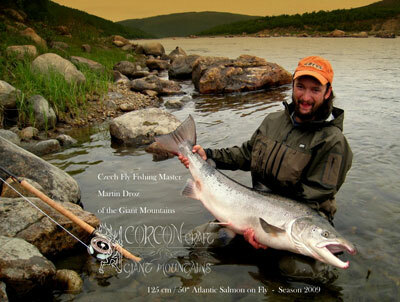 Please come and see us this year again at the international EWF Show, the greatest Fly Fishing event on the European continent, where we shall take great pleasure at our stand CORCON Craft and introduce the newest fishing destinations to the adventurous Flyman. 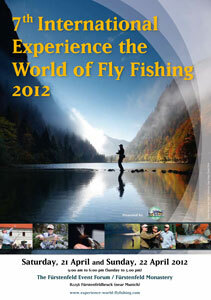 Fly-Fishing for the largest Taimen and Trout and Grayling on this planet ! 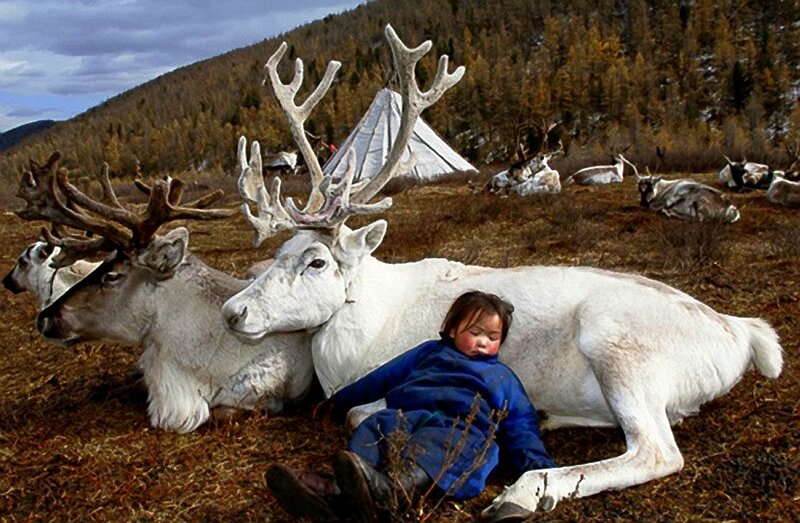 World Records. 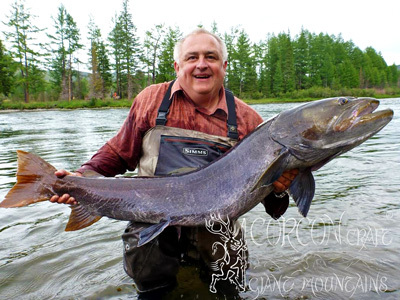 - Every season brings new record-class fish for our clients and guests. Plentiful catch of prime Lenok and good Taimen every single day. 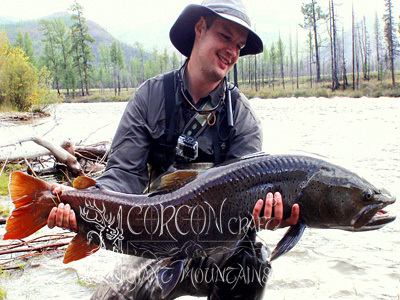 Largest specimen and record-fish are landed typically during the autumn season of Indian Summer in Mongolia. 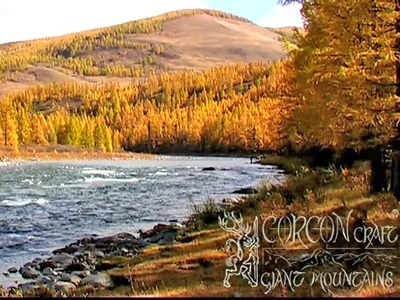 Picturesque and wild Eastern Sayan-Mountains. 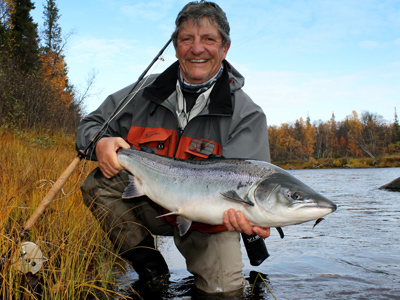 The Fly Fishing season has just began this month for the largest Atlantic Salmon in the Far North of Norway, Finland, the Varanger Peninsula and in New Brunswick - Canada. 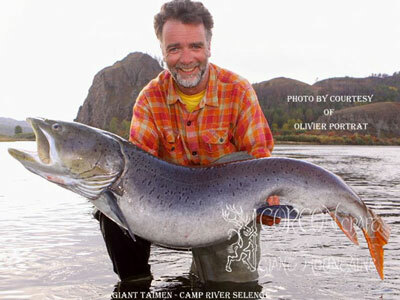 Such mighty rivers as the Alta and the Miramichi are traditionally holding the strongest Salmon in the world. 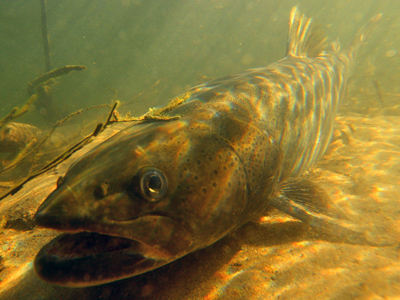 Situated at the last forgotten backyard of Europe and in New England with a wild river system and a still healthy population of Atlantic Salmon. 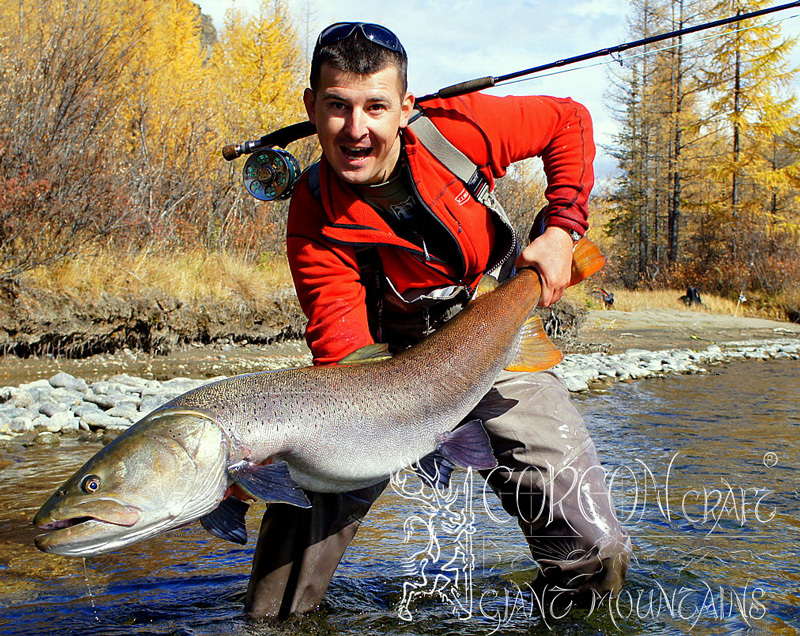 Another new world-record class fish landed and returned by our friends and clients in Mongolia Fly Fisherman Martin Groeger from Germany with his Giant Taimen on Fly at River Selenge, northern Mongolia, October 2010 This cracking Giant Taimen of 155 cm – 62”inches was caught on Fly during the 4 week Fishing Expedition of a small party of professional sportsmen from Germany, lead by the well-known author and photographer Olivier Portrat of Saarbruecken.